Anyone who has spent time in the French Quarter knows it always has been a great place for people watching. Living there can be like living inside the pages of a book of complicated short stories where all of the characters are unexpectedly connected. Observant residents are inevitably privy to all sorts of secrets that can never be revealed for fear of invading someone’s privacy. 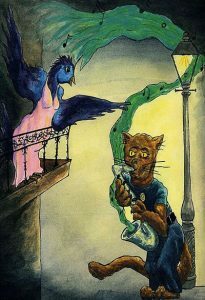 Although I never asked him point-blank, I have long suspected my colleague Dalt Wonk created his French Quarter Fables as a way of sharing his observations as discreet parables with elegantly funky animals standing in for human characters. All have a ring of truth about them, but rendered allegorically in verse they assume a near-mythic quality that is illuminating without being personally compromising. One of the poems that appears in Nocturnes is called “For Chopin”: “Time pauses before the web / your seanced fingers spin, / glistening and so delicately attached / to anything solid, it consoles like perfume.” Frédric Chopin’s own nocturnes were freeflowing, rhythmic pieces, often lyrical, sometimes melancholy, and always very expressive. His use of the pedal gave to the composition a greater sense of emotional expression by sustaining the resonance of the played note. While Nocturnes, a collection of poetry and images, is not a tribute to the pianist, it is, in part, inspired by the same sensibilities. There is a sustained resonance in the book, too, one that is rarely achieved nowadays by most visual art books. 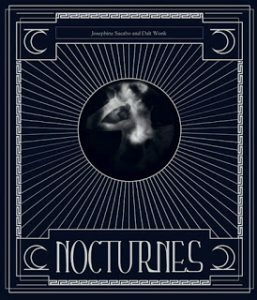 Nocturnes is the first publication of Luna Press, founded by New Orleans-based photographer Josephine Sacabo and poet Dalt Wonk. 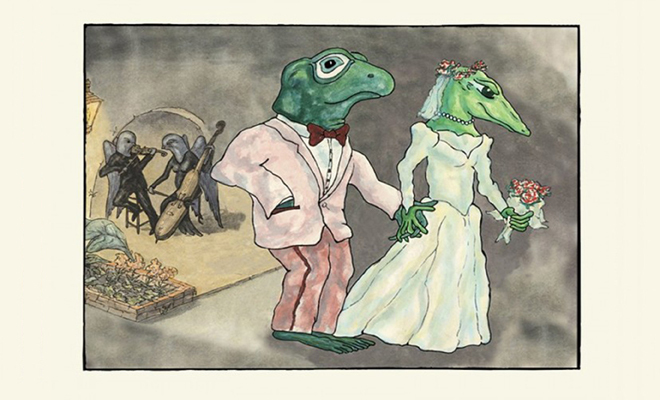 It exemplifies their belief in the importance of interdisciplinary associations, and specifically illustrated books. “The best and most natural appreciation of a work of art,” reads their manifesto, “may be a response to it in another.” Partly inspired by Charles Baudelaire’s concept of “correspondences” in the arts, this belief in the natural interrelatedness of all art forms provides the key to understanding the rapport between image and text in Nocturnes.